Business Bloggin': How I quit my job and found success as an entrepreneur in the arts. — Avilda Creates! DIY Craft Projects for jewelry making, beauty, home decor and overall creative self care . Business Bloggin': How I quit my job and found success as an entrepreneur in the arts. In December of 2010, I had FINALLY earned an Associate's Degree in Graphic Design between raising a three-year-old and completing an absurd amount of projects in an accelerated program. I even secured a job before I graduated with a 3.9 GPA. Four months later, I found myself quitting my job as a graphic designer in pursuit of more fulfilling work in an environment where my talents were valued and I was respected and appreciated. The financial support of my husband made the transition a lot smoother than I imagine it could be for many people seeking to quit their day jobs. A dear friend of mine, who was a professional Nanny, sent some work my way while I figured things out. One day, she presented the idea of the two of us trying face painting for children's parties. This was a completely new arena for me, and after seeing a few photos online, I decided to take a leap of faith and test it out. I watched several YouTube videos and viewed a couple books to teach myself the basics. Before long, we found ourselves volunteering for a daycare center that my friend was affiliated with in the Bronx, NY. It was a hit! The parents loved our work and many people requested our business cards. The biggest test was when we went to Central Park in NYC for my brother's barbecue around July 4th. We decided to pop up a small table, post about 5 pictures of our work, and charge only $2-$3 per face. We walked around to a few families with children who were relaxing on blankets and listening to music, and let them know what we were prepared to do, gesturing toward the bathrooms so folks could see our setup in a central location. I was still my hugely timid self and nearly died at the thought of approaching strangers and walking right into rejection. No one really seemed that interested, but we moved forward anyway. We walked back to our table and offered the face painting to one child for free, just to get things moving. After people saw what we had done, the line quickly grew and began to wrap around the winding path to the bathrooms. The police immediately took notice-- folks, it is illegal to vend in an NYC park without a permit -- but, they saw how happy the children were and they let us rock! They even stood by, just to make sure that the line stayed organized and that there was no trouble with the crowd. By the end of the day, we closed up shop before it had gotten dark. My brother let us go into his car to count our earnings, and we made almost $300. Once again, we only charged $2-$3 per person. This was the best $300 we had ever earned and my first taste of entrepreneurship! The interesting thing is that, in hindsight, our designs were not nearly as strong as the kind of designs I produce today. It's never about being THE best, it's about being YOUR best. Your best is enough. Since then, my dear friend to this day, decided to branch off into the nonprofit sector, while I continued building my face painting business. 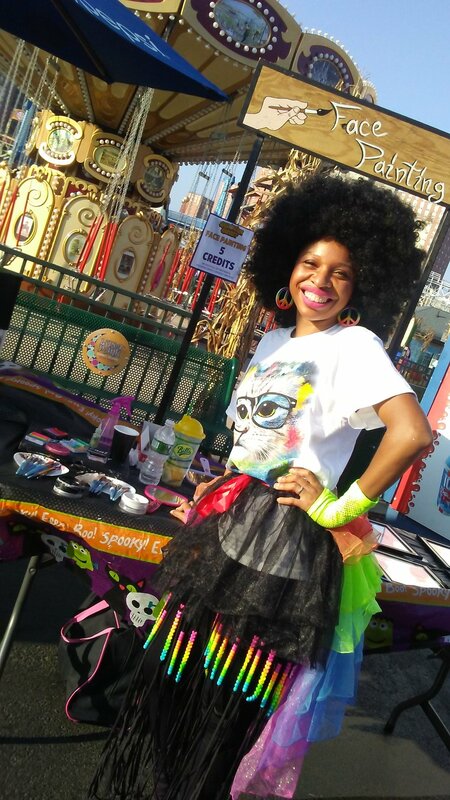 I went on to use face painting as a springboard to earn up to $3000 for just one gig, repeat customers, free advertising to massive audiences, and more. I've collaborated with other amazing artists as we used our skills to impact the lives of Breast Cancer Survivors, and our art appeared in People Magazine. What worked was my sheer focus, awareness and utilization of my resources, self-motivation, self-management skills, and positive relationships with other people. The flexibility of this business has enabled me to slow things down and pick up the pace again to suit my lifestyle as a stay-at-home-mom. Face painting has been a ton of fun, full of exploration, and fulfilling! Every event is a celebration, I am surrounded by smiles and laughter, and I create lovely memories with some really great people. It has led me to use my skills in various ways to scale my business, and I couldn't have asked for a better outcome. 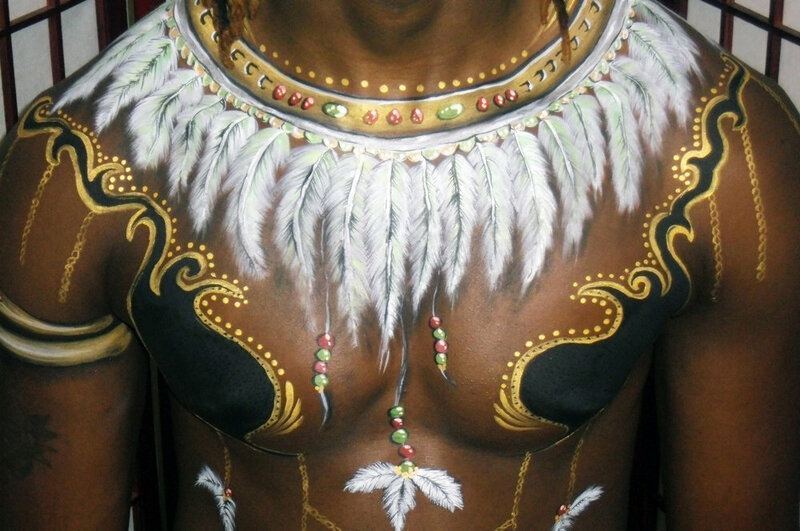 Face and body painting is a fun, festive and lucrative way to earn an income in a short period of time with a very low investment. There are free videos all over YouTube showing you how to paint various designs. 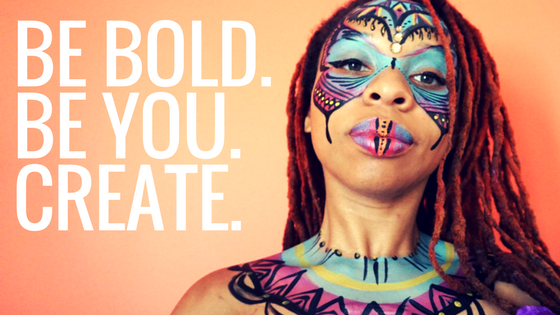 With AvildaCreates!, you can learn the inner workings of face painting as a business. Sign-up today for your free guide. Want to learn how to start and run a successful face painting business? Sign up today and get a FREE guide to all the resources you'll need to get started, including essential items for your face painting kit, ways to earn, plus marketing tips and tools. Balance your inner and outer worlds through fun and enriching DIY craft projects for self-care, beauty, home, and fashion. My name is Avilda and I am a DIY craft fanatic, multi-faceted visual artist, entrepreneur, mentor, and a young-at-heart wife and mom to my soul mate and 2 beautiful daughters. This DIY Craft blog is about cocreating a life that empowers, rejuvenates and uplifts you, so you can continue to live your purpose. I develop and curate DIY crafts for self care, beauty, fashion, jewelry, home decor and fun! Join the DIY Creative Self-care community and get your FREE 8x10 art prints and affirmations for self-care. Disclosure: some of the links on this site are affiliate links, meaning, at no additional cost to you, I will earn a commission if you click through and make a purchase.